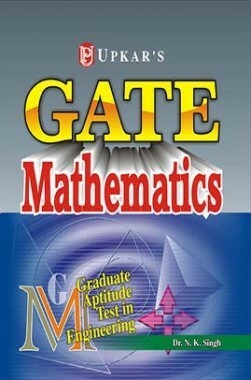 Engineering Mathematics, as a subject, is very much relevant to the GATE exam as the weight-age given to this subject has been consistent over the years in comparison to other subjects. Every year you can find the weight-age of this subject to be 8 to 10 marks. Engineering Mathematics is a subject that has a very wide course as this course during the college days is covered in 4 to 5 semesters and to prepare it completely at one time is overwhelming. So the key to prepare for such subjects is to keep short notes handy with you or maybe you can have a sort of Formula Sheet so that you can look up to a concept whenever you need it. Complex Analysis: Analytic functions, conformal mappings, bilinear transformations; complex integration; Cauchy’s integral theorem and formula; Liouville’s theorem, maximum modulus principle; Taylor and Laurent’s series; residue theorem and applications for evaluating real integrals. Real Analysis : Sequences and series of functions, uniform convergence, power series, Fourier series, functions of several variables, maxima, minima; Riemann integration, multiple integrals, line, surface and volume integrals, theorems of Green, Stokes and Gauss; metric spaces, completeness, Weierstrass approximation theorem, compactness; Lebesgue measure, measurable functions; Lebesgue integral, Fatou’s lemma, dominated convergence theorem. Ordinary Differential Equations : First order ordinary differential equations, existence and uniqueness theorems, systems of linear first order ordinary differential equations, linear ordinary differential equations of higher order with constant coefficients; linear second order ordinary differential equations with variable coefficients; method of Laplace transforms for solving ordinary differential equations, series solutions; Legendre and Bessel functions and their orthogonality. Numerical Analysis: Numerical solution of algebraic and transcendental equations; bisection, secant method, Newton-Raphson method, fixed point iteration; interpolation; error of polynomial interpolation, Lagrange, Newton interpolations; numerical differentiation; numerical integration : Trapezoidal and Simpson rules, Gauss Legendre quadrature, method of undetermined parameters; least square polynomial approximation; numerical solution of systems of linear equations; direct methods (Gauss elimination, LU decomposition); iterative methods (Jacobi and Gauss-Seidel); matrix eigenvalue problems : power method, numerical solution of ordinary differential equations : initial value problems : Taylor series methods, Euler’s method, Runge-Kutta methods. Partial Differential Equations: Linear and quasilinear first order partial differential equations, method of characteristics; second order linear equations in two variables and their classification Cauchy, Dirichlet and Neumann problems; solutions of Laplace, wave and diffusion equations in two variables; Fourier series and Fourier transform and Laplace transform methods of solutions for the above equations. Mechanics : Virtual work, Lagrange’s equations for holonomic systems, Hamiltonian equations. Probability and Statistics : Probability space, conditional probability, Bayes theorem, independence, random variables, joint and conditional distributions, standard probability distributions and their properties, expectation, conditional expectation, moments; Weak and strong law of large numbers, central limit theorem; Sampling distributions, UMVU estimators, maximum likelihood estimators, Testing of hypotheses, standard parametric tests based on normal, χ2, t, F–distributions; Linear regression; Interval estimation. Linear Programming : Linear programming problem and its formulation, convex sets and their properties, graphical method, basic feasible solution, simplex method, big-M and two phase methods; infeasible and unbounded LPP’s, alternate optima; Dual problem and duality theorems, dual simplex method and its application in post optimality analysis; Balanced and unbalanced transportation problems, u -v method for solving transportation problems; Hungarian method for solving assignment problems. Previous story Prepping up for Board : If you want to do good in Boards, your concepts should be clear!